John Wilbanks is retired after 45 years in the parks & recreation profession and lives in Alcoa, TN with his wife Kathy. He holds a B.S. from West Virginia University (WVU) and an M.S. from The University of Kentucky. Upon graduation from WVU, John served two years as an office in the U.S. Army. He worked as a Park & Recreation Planner for the consulting firm of Edwards and Kelsey in Newark, NJ. John then went on to receive a master’s degree in Parks and Recreation from the University of Kentucky. John served as the Board Director of Lee’s Summitt Park, located in Missouri, before relocating to East Tennessee as the Executive Director of the Maryville-Alcoa-Blount County Parks and Recreation Commission. John retired after 22 years and was hired to establish the first parks and recreation department for the City of Pigeon Forge and worked there until his retirement in 2015. John has served on many boards and councils over his career including as President or Chairman of the following organizations: Governor’s Council on Greenways and Trails, TN Recreation & Parks Association, TN Recreation and Parks Educational Foundation, NC State University’s School of Sports Management and Leadership Blount. 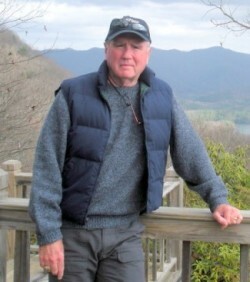 John has been a longtime financial supporter of the Foothills Land Conservancy, Great Smoky Mountains Institute at Tremont, and Friends of the Smokies.